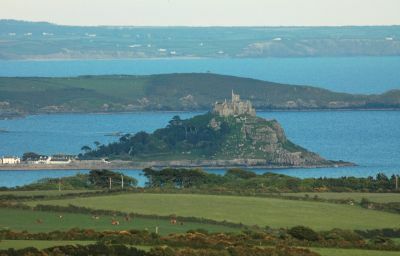 West Cornwall consists of a peninsula so dominated by the sea that it has the feel of a self-governing island. It is here that the more sheltered south coast gives way to the rugged north and while the expansive south facing Mount's Bay is relatively welcoming the waters around Land's End are notoriously dangerous. 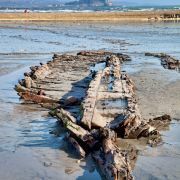 Storm swells, which travel for thousands of miles unchecked, can be huge, and wrecks abound, as do legends of smuggling and pirates. At the eastern end of Mounts Bay lies Porthleven, halfway between Penzance and Lizard Point. 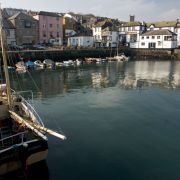 An old fishing harbour, with some visitor's moorings available alongside the quay on the eastern side, it's worth remembering that Porthleven is also a world-famous surf spot. Even at the calmest of times great care should be taken when approaching the harbour to keep offshore and out of shallow water. Steer well clear of Looe Bar (countless wrecks) and once in site of the harbour walls stay in the safe channel midway between the pier and the rocks opposite as there are shelves of shallow rock on either side of the harbour entrance. 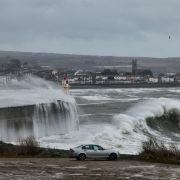 Always check with the coastguard and the harbourmaster in advance if you intend to stay in Porthleven as the outer harbour, exposed to south-westerly winds and swells, is not a safe anchorage, while the inner harbour is closed with huge timber baulks during gales and heavy seas (look for a prominent red flag). 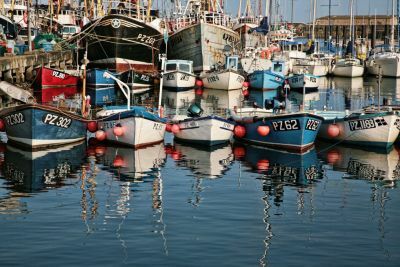 The inner harbour has a depth of two meters at half tide, although it is shallower at the northern end, where there is a slipway for trailer launches. Water and fuel are available and there are toilets on the quay. 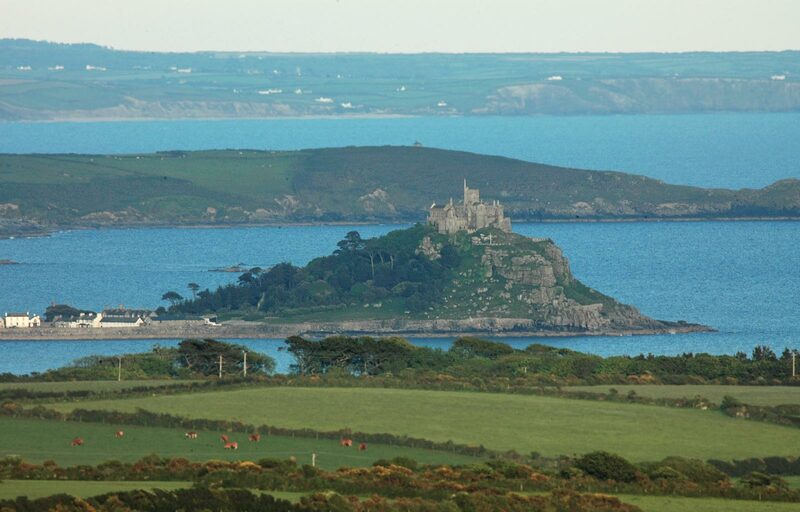 Heading west from Porthleven will take you past the iconic St Michael's Mount and into Penzance, whose situation at the most sheltered end of Mounts Bay has made it one of Cornwall's most important historic towns. The inner harbour, accessible from two hours before to one hour after high water, has fifty visitor berths with access to toilets and showers (codes from the harbour office). Visitor buoys just south of the harbour entrance can be used while waiting for the tide, and in settled weather it is possible to anchor here for the night. 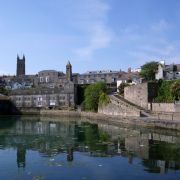 Although entry to Penzance habour is relatively straightforward, the approaches are shallow and in strong onshore winds it is advisable to continue to Newlyn, the largest working fishing port in the country and source of the UK's fundamental tidal benchmark. Very much a working port, with good chandleries, Newlyn discourages visiting yachts but does offer an emergency refuge in all weathers. 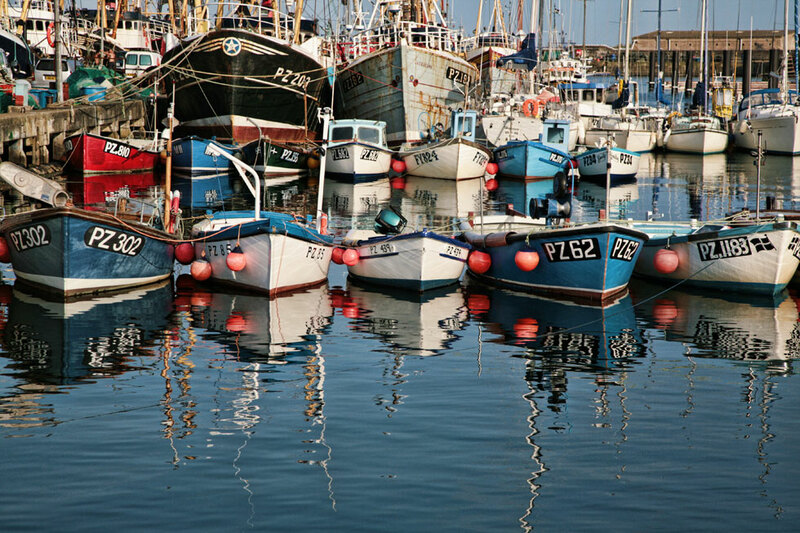 Under normal conditions yachts are allowed to stay for one night only, and fishing boats will always have priority. In an effort to increase the sailing potential in the area west of Falmouth and thereby bring trade and a much-needed bost to the economy of Penwith, a controversial development project is already underway in a historic quarry less than a mile from Newlyn's existing harbour. The fiercely contested plans for Penlee Marina include provisions for one hundred and ninety five berths, accessible twenty four hours a day, a small hotel, a boat storage facility, car parking, flats and shops. Many locals are horrified at the scale of the development which will, they argue, cause irreversible damage to an important SSSI and wreck the existing community of families, artists and fishermen. Braving the passage around Land's End will bring you to the first stretch of Cornwall's exposed north coast. 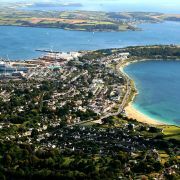 St Ives, on the north-western tip of the large and fairly well sheltered Carbis Bay, is the nearest safe place to drop anchor. 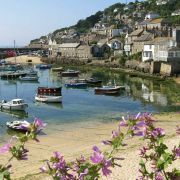 Hugely popular with tourists, St Ives Harbour is a working harbour in constant use by fishing boats and local pleasure cruises. 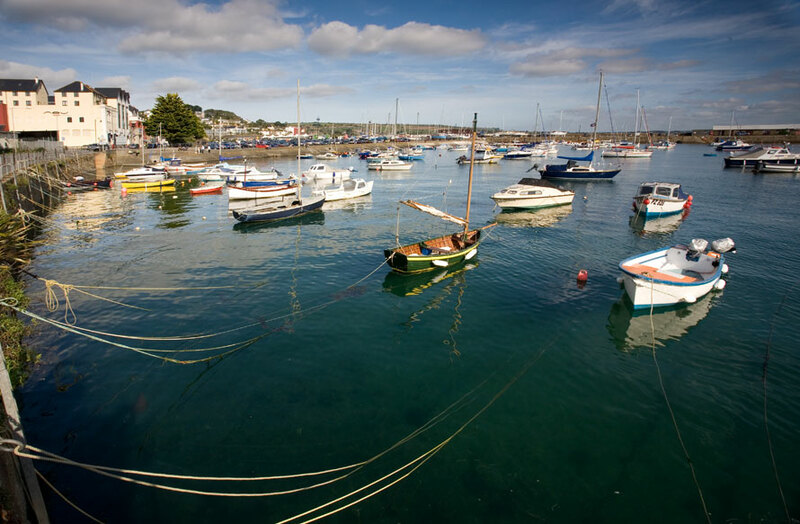 Visitor moorings (contact the harbour master) are limited to half a dozen, shared between dinghies, speedboats and yachts. The sandy bottomed harbour dries out completely at low tide and care should be taken when entering to avoid a submerged old wooden pier marked by a green conical buoy south-west of the main Smeaton's Pier. St Ives offers a range of facilities including diesel delivery and showers by arrangement with the sailing club. There is a slipway for trailer launches at Wharf Road and numerous pubs, bars and restaurants.